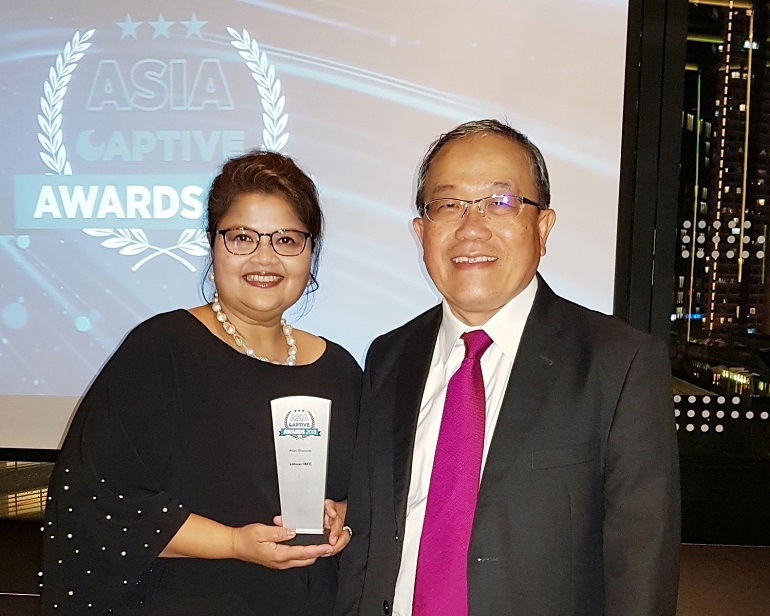 Kuala Lumpur, 6 August 2018 – Labuan International Business and Financial Centre (Labuan IBFC) won the best Asian Domicile award at the inaugural Asia Captive Review Awards 2018 held on Aug 1. The Awards recognise and reward service providers, captive owners and risk management professionals for their exceptional services and approaches to captive insurance in the Asia region while the Asian Domicile category is awarded to the jurisdiction that demonstrates the highest standards of regulation, accessibility, efficiency and commitments in promoting the captive insurance business in the region. “It is another great milestone for Labuan IBFC and it means a lot to us. We are grateful to all of the owners of our Labuan captives that have used Labuan IBFC’s structures and offerings as your “port of call” for your captive insurance. You are the ones that made the award possible,” said Director-General of Labuan Financial Services Authority (Labuan FSA), Danial Mah Abdullah at his welcome remarks at the second day of The Asian Captive Conference 2018. “Most of our captives are with parent companies that originated from the Asia region and in fact, the first captive incorporated in Labuan IBFC is from Hong Kong. This shows we are truly an Asian jurisdiction for Asians,” Farah added. Labuan International Business and Financial Centre (Labuan IBFC), Malaysia, through its internationally recognised yet business-friendly legal framework, is the preferred international business and financial centre in the Asia Pacific region. It offers global investors and businesses the benefits of being in a well-regulated jurisdiction, while providing for fiscal neutrality and certainty, in addition to being an ideal location for substance creation. Labuan IBFC boasts a wide range of business structures and investment solutions catered to cross-border transactions and international business dealings. It offers services and solutions in niches such as asset leasing, risk management, commodity trading, wealth management, international business companies and Islamic financial services to global businesses looking at penetrating Asia and Asian entities aiming to go global. Labuan IBFC operates within clear and comprehensive legal provisions, guidelines and practice notes, enforced by a single regulator, Labuan Financial Services Authority.